In just three years, Urban Farmgirl’s Main Street Market has become one of Rockford’s must-see events, drawing shoppers from all over the country looking for the kind of unique, one-of-a-kind items you can only find from local craftsmen and artists. 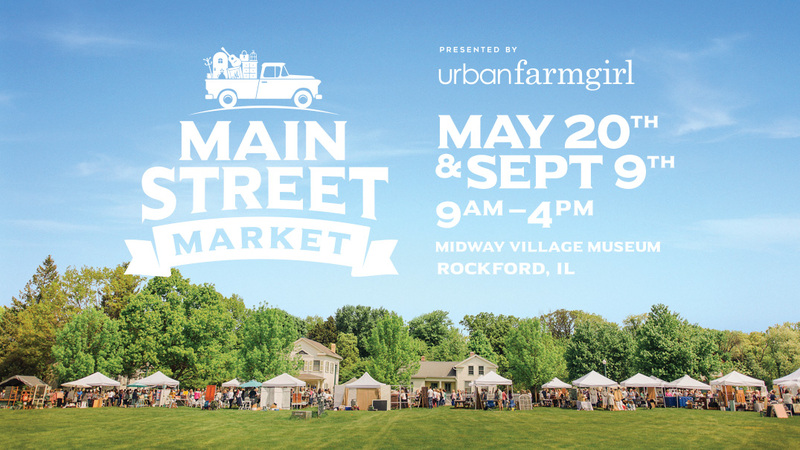 Urban Farmgirl founder Mary Gulbrantson launched Main Street Market and talks about what will be new and better on May 20th and September 9th. Q: What was the impetus behind Main Street Market? A: The Rockford area needed something like Main Street Market. I am a seasoned vendor at shows myself, so I knew what it meant to host a show like this. That was how I began, how I laid the roots of this business. When I was looking for a market at which to sell, the closest I could find was St. Charles, IL and that was a flea market. After I opened Urban Farmgirl, I decided I wanted to create my own outdoor market. I didn’t want it to be a “flea market” style show. I wanted quality items, eye candy for the shopper. So I looked to larger shows around the country like Country Living Fair, Junk Bonanza and The Farm Chicks for inspiration. Q: How much has it grown? A: The market has grown steadily since our first one in 2014. I am so grateful for the network of friends and fellow dealers I’ve established over the years because they came through for that very first show so I could get this off the ground. Now we have vendors that travel to us from Tennessee, Ohio, Indiana, North Dakota! It is so great to add that variety. We started with around 100 vendors and 3,000 shoppers the first year, and have experienced steady growth every year since. Last year, we had around 130 vendors and 6,000 shoppers. We are hoping for even more this year! Both 2017 shows are booked with just over 150 merchandise vendors and 14 food vendors. It’s interesting to track who is purchasing tickets through online sales. We’ve seen people travel from Colorado, Virginia, Texas but the furthest was from Washington State. This is such a boon to local tourism. They are traveling here and eating in our restaurants and staying in our hotels. It’s such a great thing for Rockford! Q: How does Main Street Market tie in with Urban Farmgirl? A: I’ve worked very hard to build Urban Farmgirl to a brand known to be unique, offering quality goods with a fun atmosphere that is full of inspiration and I truly feel Main Street Market is an expansion of that same theory. We always strive to have a certain caliber of goods in the store, so when people travel to see us they know they are going to be happy they made the trip. I select the vendors for the market in the same way. I choose them based on variety of goods and styles so shoppers are always greeted with new things! My shop is only open 6 days a month, and that works well for us. It gives us the chance to make it a new experience each time someone visits. I do a complete transformation of the displays, so it is always fresh – it’s a ton of work, but so worth it! Main Street Market only happens twice a year, so it keeps things fresh and seasonal in the same way. At Urban Farmgirl, we support locally made goods as much as we can, and currently host the work of 10 local artists. We do carry quite a bit of “new” merchandise in the shop, but I mix in artists work and vintage items seamlessly so it stays within our vision of style and presentation. Some of these artists are friends I have known for years, and some I have discovered at markets like Main Street Market. Q: Why do you hold the event at Midway Village? A: Midway Village is the perfect setting for our event. The grounds of the historic village behind the museum are charming. There are farmhouses, barns and a “Main Street” filled with old business buildings like a hotel and a hardware store. Every one of those buildings was something important to our city and the way it is set up is just so magical. The location and the market are a perfect marriage because we each bring something unique to the experience. There is something so perfect about strolling the grounds, shopping each booth while the sun is shining – it’s a beautiful day! I can’t believe how often I hear comments from people that have lived in Rockford their whole lives and had never been to Midway Village. It is truly a hidden gem, and I want everyone to know about it! It is such an incredible museum that celebrates the history of Rockford. We should do all we can to support this gem! 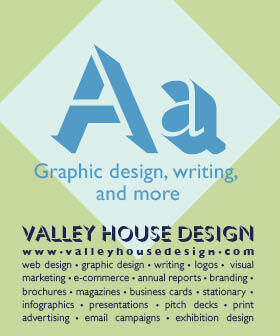 I am always proud to contribute to their growth by hosting my market there and I don’t mean just financially. The exposure they receive so people, even from out of town, will come back for another of their events is such a wonderful thing! Q: What improvements are you planning this year? A: We have expanded our number of vendors this year, so that will offer even more variety to our shoppers! There are some really exciting things that have never been seen in the Rockford area coming to both the fall and spring markets! We have new music talent coming this year, too. The ambiance they add to the market is priceless! We love giving a boost to local musicians. It makes me feel so good to hear they sold out of their CDs, or booked another event because someone saw them performing at Main Street Market. It really supports the arts community in such an important way. A: We have so much talent in this world, it is amazing! What comes out of the creative minds that make some of the things at the market just blows me away! One of my favorites is Sun City Music from Byron. They take vintage things like old radios, coffee pots or coolers and makes them into bluetooth speakers. They gifted me a 1950s plaid cooler they turned into a speaker and it is one of my favorite things! I have it at home and use it all the time! Another interesting vendor is John Sonnefeldt of Lumenology in Cherry Valley. We carry his creations at Urban Farmgirl, too. He builds the most amazing lamps out of salvaged parts of machines, cars and pipe, just to name a few. They aren’t just lamps – they are pieces of history! One of my favorites is one that has its base made from the gear of a machine from Rockford Products. Customers are so happy to own a piece of Rockford past in a modern form. Another market favorite is Chuck Guenther of Vintage Automotive Wall Art. I have never seen anything like his work! He will take the front end or grill from antique cars and create a lighted piece of wall art – they are awesome! Such a perfect things for a man cave or bar. His work is truly something you will not see repeated in this area!